Beautifully hand cut Sterling Silver NZ pendant hung from a silver plated chain. Pendant can either be polished to a high sheen or with a matte finish. The pendant measures 50mm from top of the North to bottom of the South! Cut from 1mm Sterling plate. 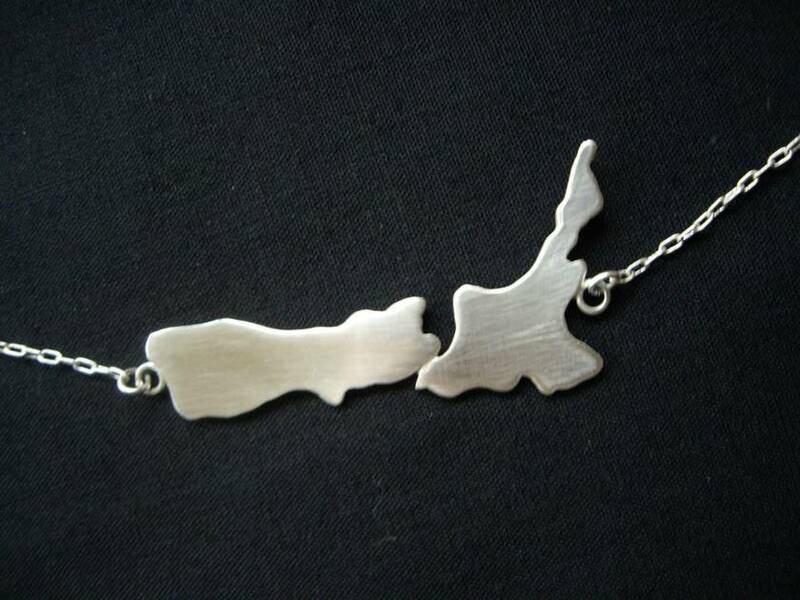 A great gift for family and friends traveling overseas or just for you to celebrate your Kiwi pride. Contact lovefool to enquire about payment or shipping options.